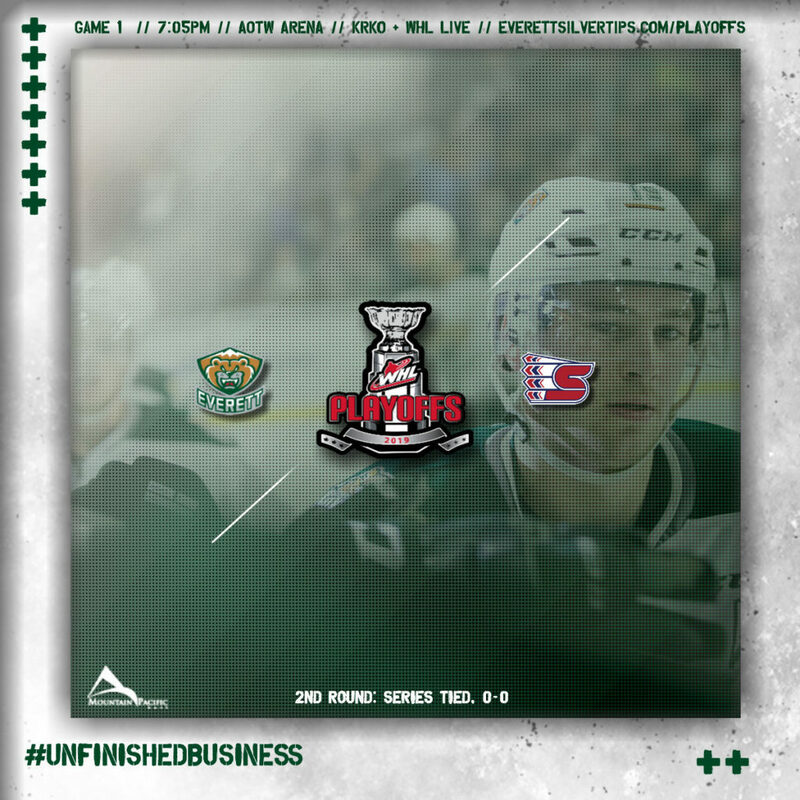 Game 1, second round of the WHL Playoffs between the Silvertips and Spokane Chiefs… it is the 5th time the two teams meet in the postseason (first since 2015, won by the Silvertips, 4-2) … the Tips went 6-0-1-1 against Spokane in the regular season … the Silvertips are meeting Spokane for the 5th time in the postseason … Connor Dewar and Bryce Kindopp led the Silvertips with 10 points in 8 meetings for the regular season … the Tips are 17-12 lifetime in Game 1 situations, and 12-2 on home ice. 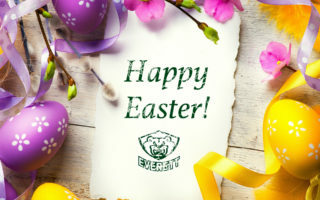 EVT 9 – TC 1 (3-30-19) // AOTW ARENA // EVERETT, WA: The Silvertips punched their ticket to the second round of the WHL Playoffs by scoring a franchise record nine goals in a single playoff game, as the Everett Silvertips defeat the Tri-City Americans, 9-1, before 4,617 at A.O.T.W. 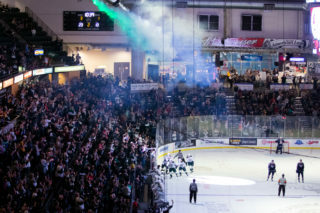 Arena on Saturday night in WHL Playoff action. Forward Bryce Kindopp notched a hat-trick, while Zack Andrusiak recorded a two-goal night, along with the Tips benefitting with goals from forwards Martin Fasko-Rudas, Connor Dewar, Gage Goncalves and defenseman Ronan Seeley. 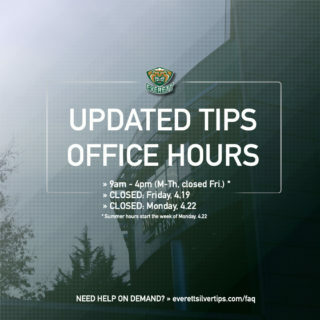 DEFENDING THE CROWN: The Tips won last season’s Western Conference title, 4-2 in a series over Tri-City … Kevin Davis scored the championship winner at 5:58 of overtime in Kennewick … the Tips have twice reached the WHL Championship Series and are vying for their second straight berth in the Western Conference Championship series. 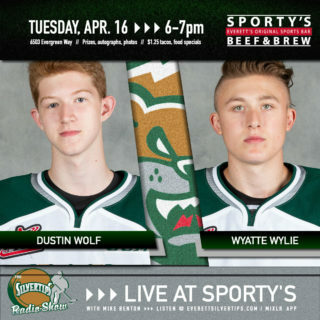 HOWLING WOLF: Dustin Wolf entered the postseason as the WHL Western Conference Goaltender of the Year … he completed his regular season as the WHL leader in wins (41), save percentage (.936), goals-against-average (1.69) … in the first round he led the WHL in GAA (1.60) and save percentage (.937). 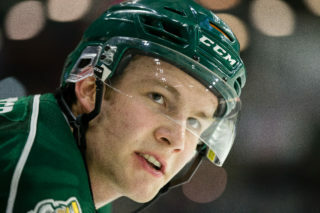 RECORD SMASHING NIGHT: The Tips 9-1 win in Game 5 (first round) over Tri-City set a new playoff franchise record for most goals (9) in one game … Bryce Kindopp earned his first career playoff hat trick.